Job and Gertrud Tamaki Professor of International Studies at the University of Washington, Daniel Chirot has authored books about social change, ethnic conflict, Eastern Europe, and tyranny. 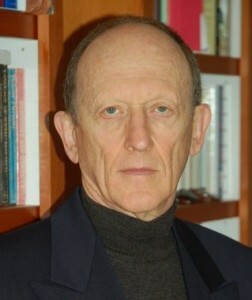 He co-authored Why Not Kill Them All?, about political mass murder, and has edited or co-edited books on Leninism’s decline, on entrepreneurial ethnic minorities, on ethnopolitical warfare, and on the economic history of Eastern Europe. He founded the journal East European Politics and Societies and has received grants from the Guggenheim, Rockefeller, and Mellon Foundations. He has consulted for the US Government, the National Endowment for Democracy, the Ford Foundation, and CARE. In 2004/05 he was a Senior Fellow at the United States Institute of Peace working on African conflicts. Teaching specialty: Ethnic and religious conflict, genocide, political sociology, tyranny.